Software companies from Adobe to startups are researching ways to use artificial intelligence to auto clip photos and separate the subject from the background, but a new app has already launched with a simpler idea — auto masking for a classic paper-and-scissors collage look. 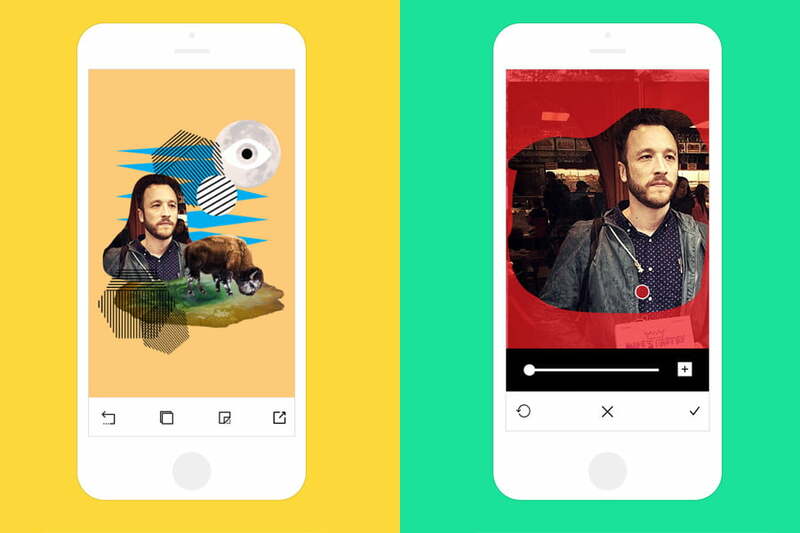 Pasted, an iOS photo collage app, is designed to mimic the look of a traditional cut-and-paste collage using facial recognition. To be fair, Pasted isn’t attempting to auto mask out every single hair — it’s an app designed to mimic the look of a physical cut. That means that sections of the background are left intact and the clip is more or less a rough geometrical one, with facial recognition tech simply telling the system where to make the cut. Users can then go back in and edit the crop using the touchsreen and tracing with a finger. Designed for crafting anything from a mood board to a fun social media collage, the app uses a mix of automated and custom edits. Along with clipping from existing photos (or photos you snap while in the app), the app also includes a number of clip art shapes and cutouts to add to the collage, though some are paid upgrades. Photo filters are also included. The app comes from James Mercer, the lead singer of The Shins, along with Zeke Howard and Ben Fogarty of The Brigade, a digital agency that has worked with companies like Spotify, Nike, and Bose. The three developers formed Spruced last year; Pasted is their first app launch. The new company is focused on buildings tools for creators. The free app is now available from the App Store.